Discovery 4, a new generation of Land Rover introduces new powertrain, improved dynamics and fresh design to capture the world of SUV. The outgoing Land Rover Discovery 3 has well over 100 international awards to its name. New design signals comprehensive engineering change under the skin, and now gives us the Land Rover Discovery 4. The Discovery4 is powered by a highly efficient new TDV6 diesel engine, fresh exterior identity and more premium cabin. Land Rover Discovery 4's Terrain Response System makes it a perfect off-roader. Sophisticated power and excellent driving abilities are the highlights of Discovery 4. The Discovery4 is designed with features aimed at reducing fuel consumption and reducing CO2 emissions etc. The new user friendly features includes Surround Camera system, Gradient Release Control, Towing Assist, Automatic High Beam Assist, and available Keyless Entry, Push Button start etc. Land Rover Discovery4 is available in 1 variants. View below listing of variants based on their fuel type. Upcoming variants of Discovery4 are also listed here. * Prices of Land Rover Discovery4 car indicated here are ex-showroom price not the on road price of Discovery4. Price list is subject to change and for the latest Land Rover Discovery4 India prices, submit your details at the booking form available at the top, so that our sales team will get back to you. Land Rover Discovery4 mileage mentioned here is based on ARAI test drive and not from Discovery4 review by vicky team. 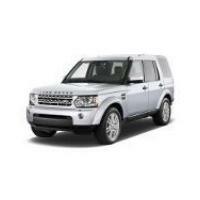 "The prime specs of Land Rover Discovery4 are listed here. The overall length, width of the car should give you an idea about parking space it require. The ground clearance (lowest part of the car to the ground) will give you the measure of water wading capability and confidence of Discovery4's capability to run over potholes and speed breakers. However GC (ground clearance) won't tell everything. Other important factors like approach angle, breakover angle and departure angle is required to assess the cars' ability to run in rained indian roads and light off road tracks.Engine specs of Discovery4 are also listed here. With the power (in bhp) and torque (Nm) figures the most important ratios - power to weight ratio of Discovery4 and torque to weight ratio. The displacement (in cc) is the measure of cubic capacity of the engine. Earlier there was a notion, larger engines produce more power and torque however with the invention of advanced technologies this is no longer true." This car can get you anywhere in the word with comfort and safety. This is perfectly suitable for any type of terrain. With 97 awards for the best SUV in the world, no words are needed to describe its performance whether onroad or offroad.